For years environmentalists have wondered why someone doesn’t do something about the Great Pacific Garbage Patch. Now, it appears Method, a sustainable cleaning products company, has jumped into the challenge with both feet. 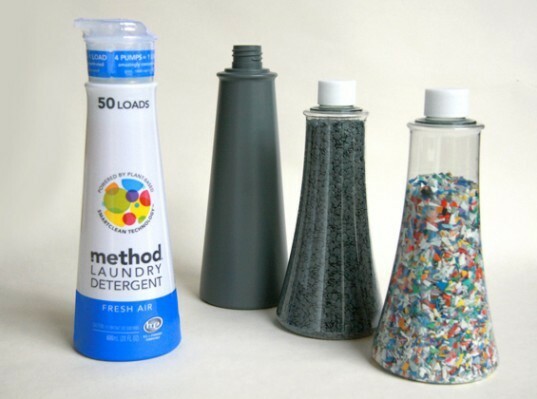 Method’s new “Ocean Bottle” for hand and dish soap is made from bits of plastic litter found on Hawaiian beaches. 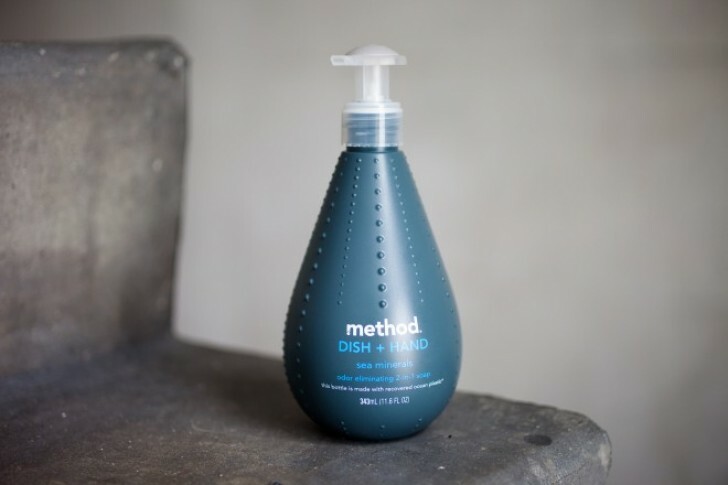 Method has been making designer soap for years now, and it was way back in 2006 that they created their first 100 percent post-consumer recycled plastic bottle. Although many said the slowly degrading plastic swirling around in the Great Pacific Garbage Patch couldn’t been reused, Method refused to give up. In 2011, the company, in partnership with Envision Plastics, created a prototype that proved ocean trash could be transformed into a valuable manufacturing resource. To gather the materials, Method employees joined together with volunteers from Sustainable Coastlines and the Kokua Hawaii Foundation to comb Hawaii’s beaches. They recovered more than 3,000 pounds of plastic trash that had washed ashore from the Great Pacific Garbage Patch. That trash now makes up 10 percent of the “Ocean Bottle” (the other 90 percent is still recycled plastic, just not from the ocean). Look for this “sea minerals” soap to hit stores in November 2012.
this is not a good product. ocean plastic is contaminated with chemicals and these chemicals are then getting passed onto consumers or washed down the drain again and back into the ocean. plenty of people having been doing a lot about the garbage patch - they have been cleaning it up. this plastic should never be recycled. it is dangerous and toxic.